If you don’t have too much budget and most importantly the space to have a dedicated studio or even so much as a small dedicated recording corner, you’ve come to the right place. You’ll be happy to know that you can still get a very decent DIY recording corner with the 3 must-have studio microphone accessories for home recording. What are they? Just read on! X-mas Day, 2012. I finally started my recording studio from the scratch. Not everyone is rich enough to have their own “studio”, I mean a modern studio. And so was I. At that time, all I have are a bedroom and this unidirectional mic: CAD U37 USB Studio Condenser (that I once reviewed in my home recording tips article). Honestly, it’s a decent mic and it can work quite well alone but I still believed that I can make my recording even better. As I said, my low budget didn’t allow me to build a very modern studio, so I dug into the internet and asked my experienced friends to find what can simply improve my recording without breaking the bank. As I once said on this blog, I bought Dragonpad USA Pop filter and my very first mic at the same time. But it’s not exactly what happened. In fact, this pop shield came to me a few days later after I had realized that my condenser microphone was so sensitive that all /b/ and /p/ sound are highlighted in my recording. It’s quite hard to handle these sounds later, and a pop filter was the best solution for this. That’s one of the reasons why I always consider pop filter as a must-have studio mic item for DIY recording. I called this a magic. You can imagine when you are standing there in front of the mic, just place a pop filter between you and the mic. And you don’t need to worry too much about the blast of air you make whenever you pronounce /b/ or /p/. 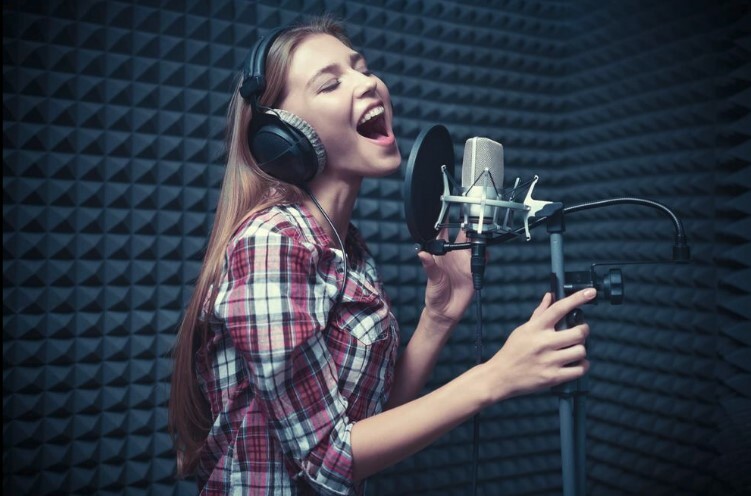 You can focus better on your vocal techniques, emotion,… and your pop filter will do its part, keeping the bass response controlled and the sound delicate. Besides, a pop filter also helps you to have a proper mic technique while the recommended distance from the mic is at least 10 cm. Back to my choice, Dragonpad USA Pop filter, no one I know have complained about it. It’s super cheap and works well for my microphone. 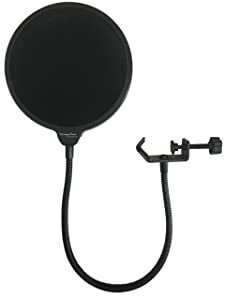 However, you may see some negative feedback of Dragonpad USA Pop filter out there, from people who feel hard to attach it to their microphone stand. In case you want another name, BC Master Pop Filter is a decent pop shield that I once tested at my friend’s studio. It’s a little bit more expensive than my pop filter but it’s worth 5 stars for both the quality and the price. 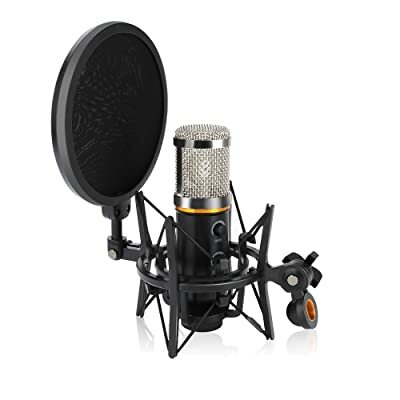 But wait, you may find a big surprise when moving on to the next must-have studio microphone items for home recording. A mic stand, first of all, helps your mic stand firm. You’re free to do your vocal part without holding your mic tight. Without mic stand mic & shock mount, the mic will pick up directly all the types of ambient noise above. It will make your post-production more difficult. 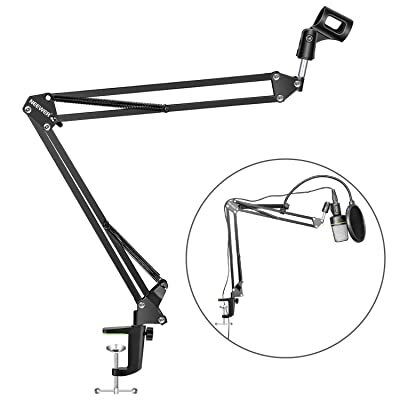 However, a mic stand & shock mount have special designs that can help absorb and diffuse the unexpected sounds and weaken them before they reach your mic. Is it an amazing process? Yes, at least for my recording, mic stand & shock mount do work efficiently. Want to see my second must-have studio mic items? Firstly, NEEWER Adjustable Microphone Stand. If I have to describe this mic stand with only 3 words, I would like to say: “sturdy”, “durable” and “flexible”. It’s suitable for most of the mics and recording purposes: voiceover, vocal, podcast,… And as you can see, it’s quite cheap for a DIY bedroom artist like me. Such a good deal! For shock mount, I highly recommend ARCHEER Microphone Shock Mount with Pop Filter. Do you remember the big surprise mentioned above? Here it is. 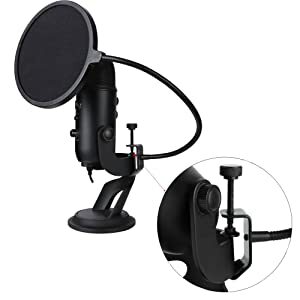 This shock mount comes with a high-quality pop filter, so instead of purchasing a shock mount and a pop filter separately, take this great kit. 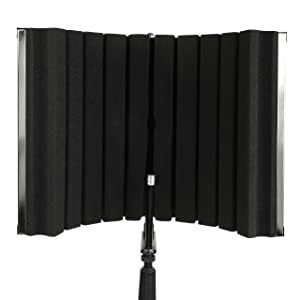 Do you really need a Reflection Filter/Portable Vocal Booth? Absolutely not. 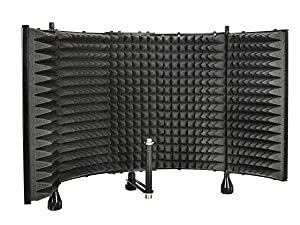 But if you want to have an ideal corner for your home recording, a reflection filter (aka.portable vocal booth or mic isolation shield) will be the suggestion. While building an entire modern home studio is impossible for me, a portable vocal booth will help me simulate optimal recording conditions in a standard studio. As a good basic rule of thumb, a vocal booth placed around in front of the mic and behind you can efficiently block potential environmental sound. Moreover, it also helps to absorb and diffuse all sound reflection. This surely improves your recording. Monoprice 602650 Microphone Isolation Shield is an excellent product that I’ve invested for my home recording corner. Although it’s not very cheap, with this vocal booth, you’ll get what you pay for. 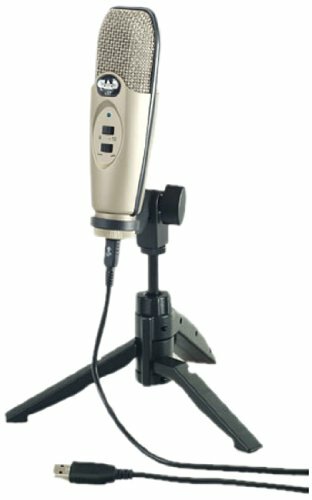 Another suggestion from John (my jamming friend I once mentioned in Jasmine S35 Review) is LyxPro VRI-30 – Vocal Booth – Stand Mount. According to him, this is a small and effective reflection filter. And as you can see, it’s much cheaper than mine. Someone may say that a microphone and a computer are enough for DIY artists. But if you are serious about recording at home, let make the recording conditions optimal to have a better input sounds and, as a result, high-quality end products. These 3 must-have studio mic accessories for home recording are my choice and they are surely proven. Hopefully, this article can help you on your path to recording passion.